The Presidential Guard announced this Wednesday that they will be securing their troops to #Tripoli International Airport. 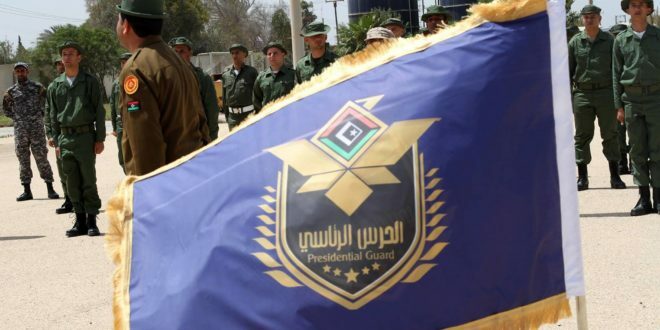 On their Facebook page, the Guard stated that, they instructed battalion 161 and 155 to the first brigade of the presidential guard to enhance concentrations of battalions 121 and 14; in order to block “outlaws” in the vicinity of #Tripoli international airport. Next #Government #Libya #News – The commander of the Presidential Guard, Najmi al-Nakua, said they would not allow any group to disturb the security and stability of the citizens in the capital #Tripoli. Economy Libya News – Libyan Airways announces it is stopping ticket discounts.